Let Chili’s do the cooking while we support Texan’s Can Academies at the same time. 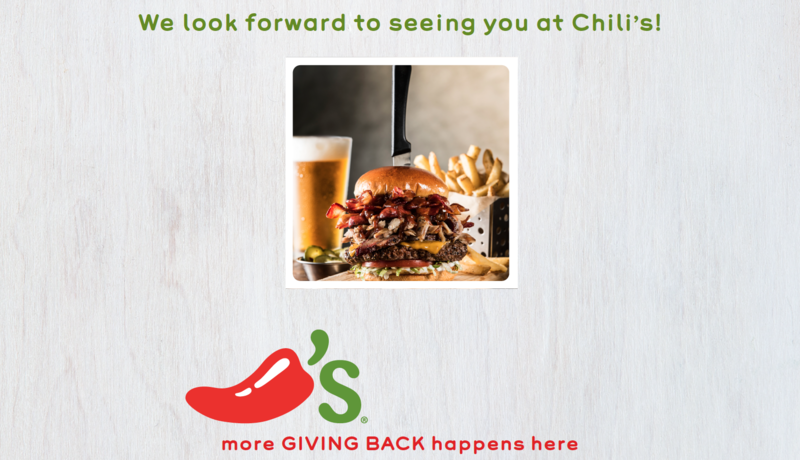 With each flyer presented on 8/30/2018 Chili’s will donate 15% of the event day sales. Mention or show the Give Back Event Flyer with each check to receive credit for the sale. Sale cannot be included in donation amount with flyer. Offer only valid on the date and location stated above.